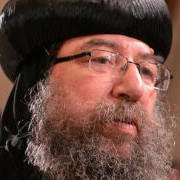 Bishop of Coptic Orthodox Diocese of Mississauga, Vancouver and surrounding cities, towns and villages. On March 10, 2013 he was officially delegated by H.H. Pope Tawadros II as the diocesan bishop of Mississauga, Vancouver and all the surrounding cities, towns and villages. Enthronement date in Mississauga, Canada is April 7, 2013. Father Armia earned a Bachelor’s degree in Medicine (MB ChB) from Egypt in 1983. Abouna also earned a Masters degree specializing in Ear, Nose, & Throat. 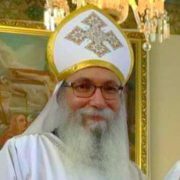 Father Armia has been serving in the St. George Coptic Church in the greater Vancouver area (the lower mainland) since July 15th, 2008. Before coming to Canada, Father Armia served at St. Demiana & St. Bishoy Church in Tanta-Gharbia, Egypt. If you have questions, feedback, or concerns please feel free to contact church servants.